9) Anderson, J.C., Cheng, E., Roeske, M., Marchildon, P., Peacock, J., and Shaw, R.D. Detection of serum antibodies to Helicobacter pylori by an immunochromatographic method. Am.J.Gastroenterol. 92:1135-1139, 1997. 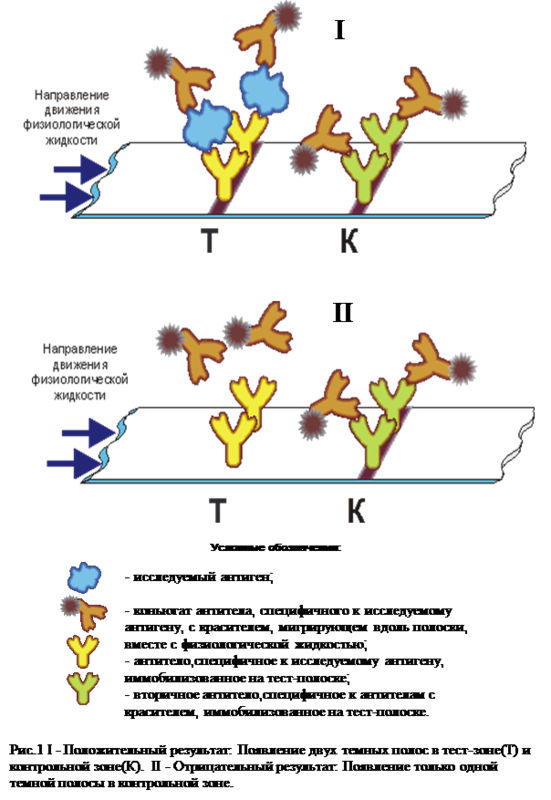 10) Schrier, W.H., Schoengold, R.J., Baker, J.T., Norell, J.L., Jaseph, C.L., Okin, Y., Doe, J.Y., and Chandler, H. Development of FlexSure HP--an immunochromatographic method to detect antibodies against Helicobacter pylori. Clin.Chem. 44:293-298, 1998. 11) Cognein, P., Costa, A., and Giacosa, A. Serodiagnosis of Helicobacter pylori: evaluation of a rapid, miniaturized immunochromatographic test. Eur.J.Cancer.Prev. 3:457-463, 1994. 12) Shirin, H., Bruck, R., Kenet, G., Krepel, Z., Wardi, Y., Reif, S., Zaidel, L., Geva, D., Avni, Y., and Halpern, Z. Evaluation of a new immunochromatographic test for Helicobacter pylori IgG antibodies in elderly symptomatic patients [see comments]. J.Gastroenterol. 34:7-10, 1999. 13) Kagen, L. J. 1973 Myoglobin: Biochemical, physiological and clinical aspects. New York and London Colombian University Press. 14) Drexel, H. et al. 1983 Myoglobinaemia in the early diagnosis of acute myocradial infarction. Am. Heart J. 105: 642-651. 15) McComb, J. M. et al. 1983 Myoglobin in the very early phase of acute myocardial infaretion. Ann Clin. Biochem, 22:152-155. 16) Grenardier, E., Keidar, S., Kahana, L., Alpan, G., Marmur, A., Palant, A. 1983 The roles of serum myoclobin, total CPK, and CK-MB isoenzyme in the acute phase of myocardial infarction. Am. Heart J. 105:408-416. 17) Ellis A. K., Saran, B.R. 1989 Kinetics of myoolobin release and prediction of myocardial myoglobin depletion after coronary artery reperfusion. Circulation 80: 676-682. 18) McComb, J.M. et al. 1984 Myoglobin and creatine kinase in acute myocardial infarction. Br. Heart J. 51:189-194. 19) Struyf, F., Lemmens, A., Valadas, E., Verhaegen, J., and Van Ranst, M. Usefulness of immunochromatographic detection of antibodies to Mycobacterium tuberculosis as an adjunct to auramine staining for rapid diagnosis of tuberculosis in a low-prevalence setting. Eur.J.Clin.Microbiol.Infect.Dis. 18:740-742, 1999. 20) Abe, C., Hirano, K., and Tomiyama, T. Simple and rapid identification of the Mycobacterium tuberculosis complex by immunochromatographic assay using anti-MPB64 monoclonal antibodies. J.Clin.Microbiol. 37:3693-3697, 1999. 21) Edmund C. Tramont. 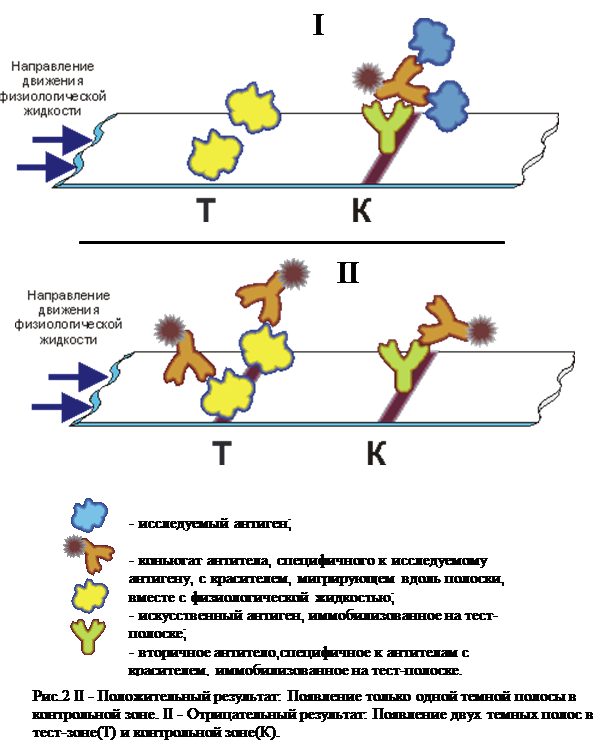 Traponema pallidum (Syphilis). In Mandell, Douglas and Bennett's Principles and Practice of infectious Diseases. G.L. Mandell, J.E. Bennett, P. Dolin, eds. Churchill Livingston New York, 1995. 22) Steven J. Norris and Sandra A larsen, Traponema and Other Host-Associated Spirochemetes in Manual of Clinical Microbiology. P. Murray, E.J. Baron, M.A. Pfaller, F.C. Tenover, R.H. Yoken, eds, ASM Press , Washington D.C. 1995. 23) Larsen, S.A., E.F. Hunter, & S.J. Draus (ed.) 1990. A Manual of Tests for Syphilis, 8th ed. American Public Health Association, Washington D.C.